FT STEM Beginner Lesson: Houston, We Have a Problem! Length: 1 hours. 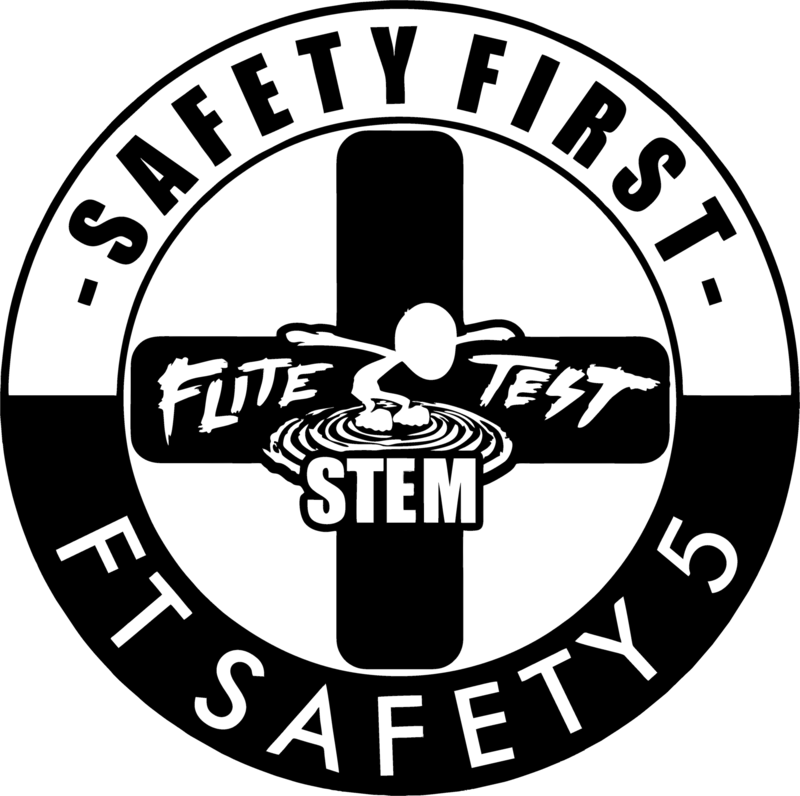 Beginner's guide to implementing an FT-STEM Lesson control surfaces for LE, UE, and MS. IMPORTANT SAFETY NOTE REGARDING HOT GLUE: Hot Glue Guns get extremely hot and should always be handled with care. Young students should always be supervised when using hot glue. 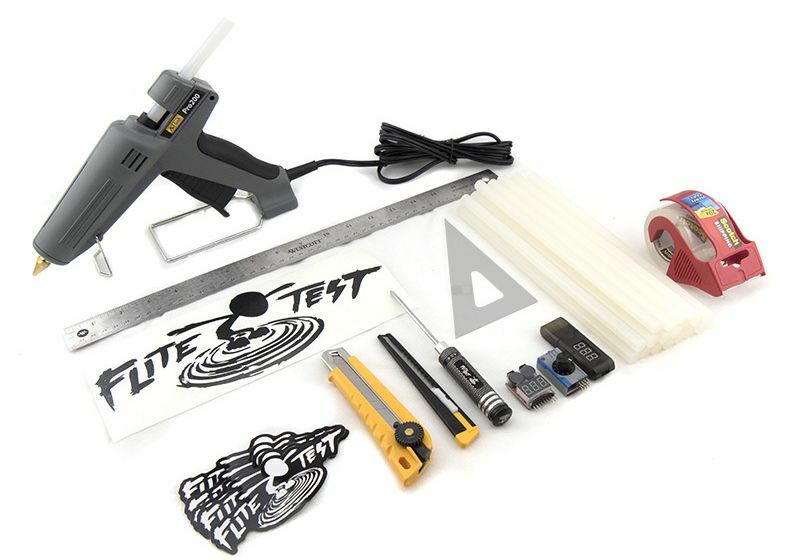 Review hot glue safety with your students prior to using hot glue guns. Before starting the lesson, create a fictional problem for the students to solve. Problem: "Houston, we have a problem!" The FT Shuttle windows have been damaged on reentry, and the astronauts cannot see through them to pilot and land the aircraft. We need you to figure out how to maneuver the aircraft and safely bring them down for landing. 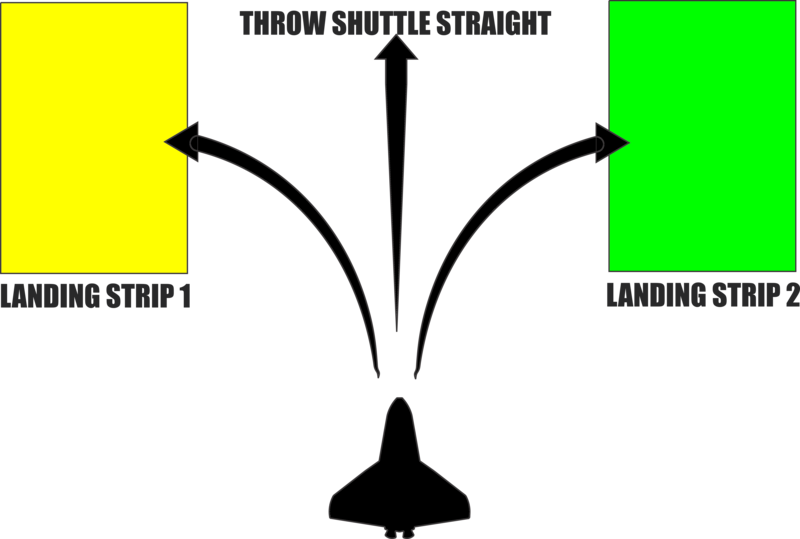 FT Shuttle needs to be able to glide 15' to 25' safely toward two ground level landing targets when thrown straight. See diagram below. 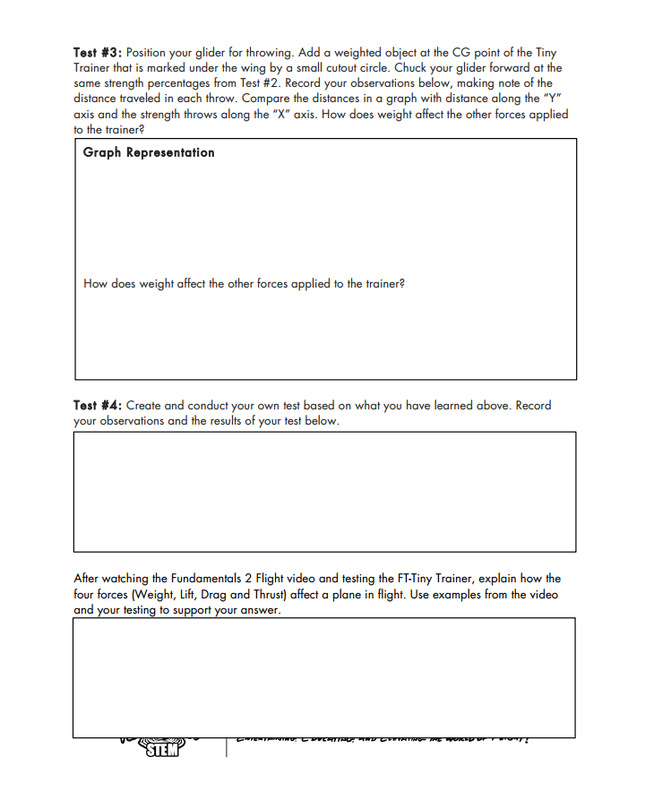 After testing how control surfaces work, check for understanding by having the students discuss how to solve the FT Shuttle's problem in groups. Note: This reflection piece could be written or oral depending on time constraints and preference of the teacher. 1. 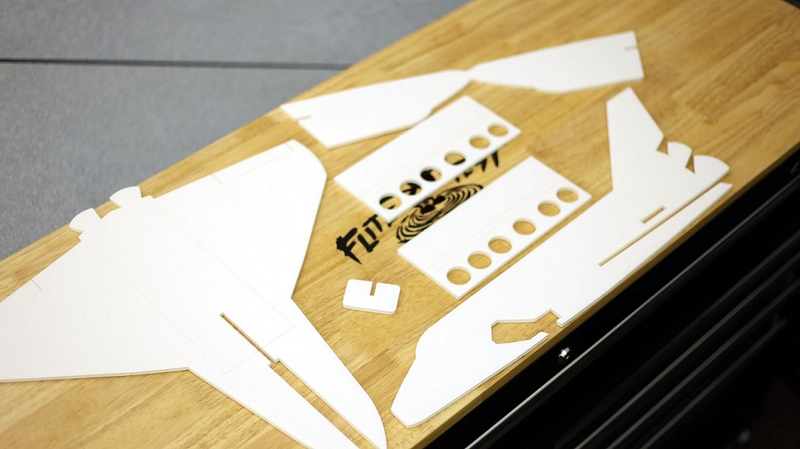 Remove the four shuttle pieces from the foam. 2. Begin with the outer nose cone piece. 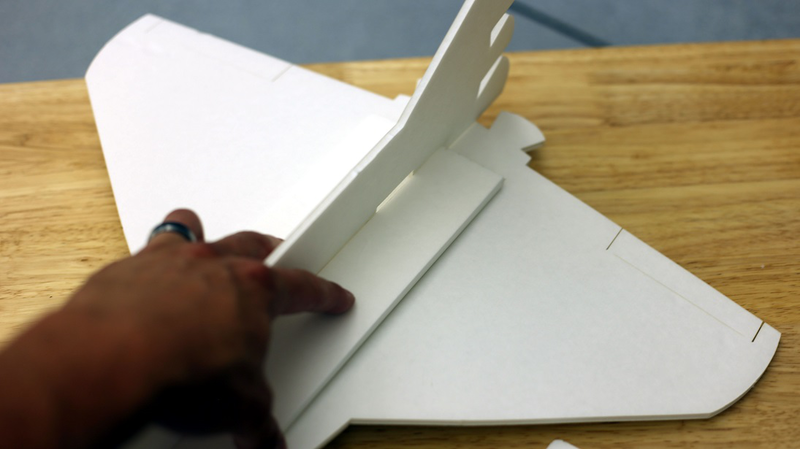 Using your finger, smash down the middle section. 3. 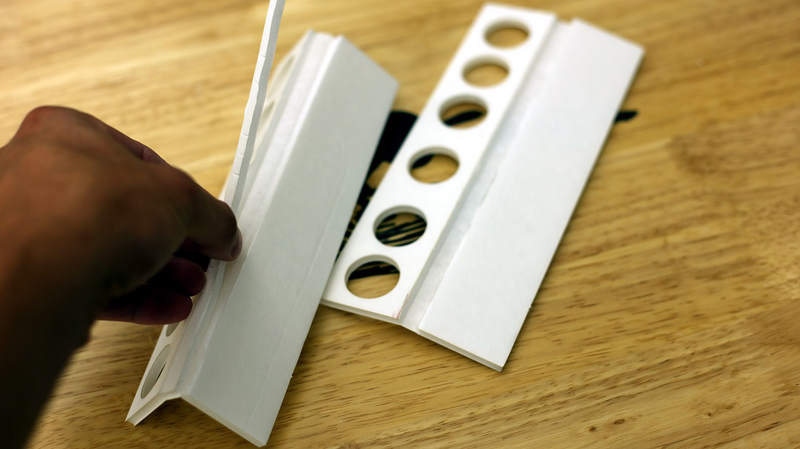 Work the outer nose by folding it over as shown above. 4. 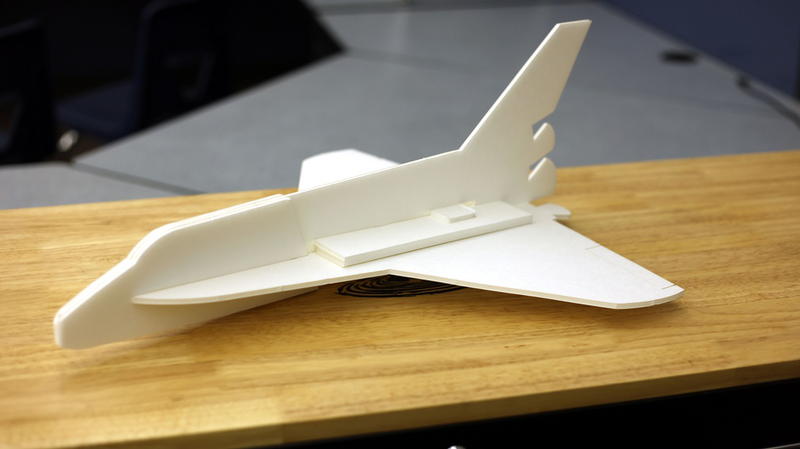 With the fuselage and outer nose cone ready, place some glue on the inside of the outer nose cone as shown above. 5. Place the nose cone over the nose of the fuselage. If you are going to use washers for center of gravity, DO NOT place the wood insert in the designated spot. 6. 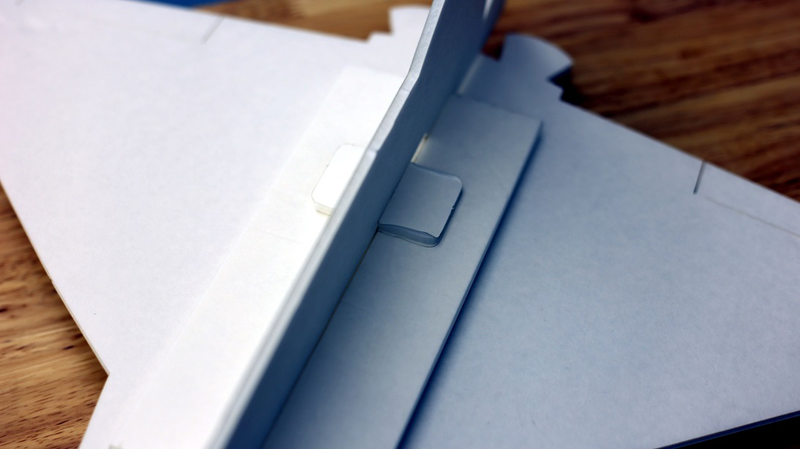 Grab your shuttle doors, and score the pre-cut lines shown above. 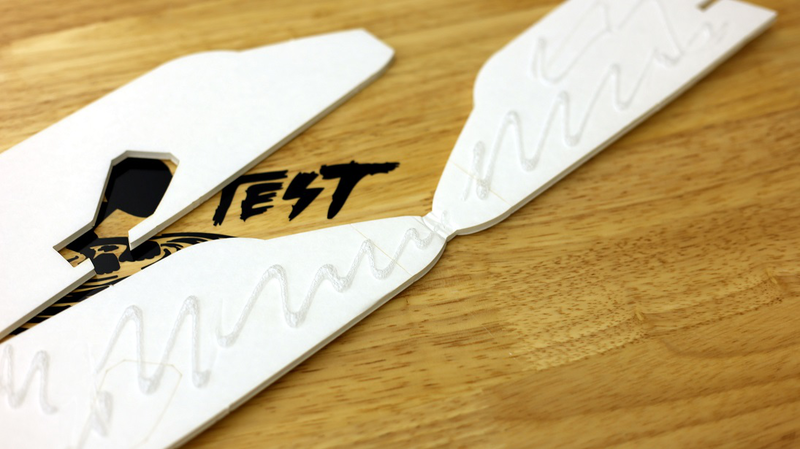 You can use a knife or other sharp object to pierce the lines. 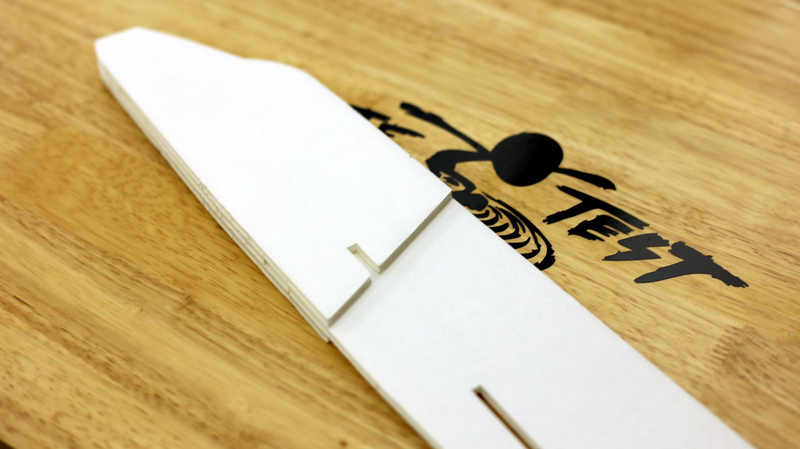 Younger students can use plastic cards instead of knives. 7. Break the foam along the lines. 8. 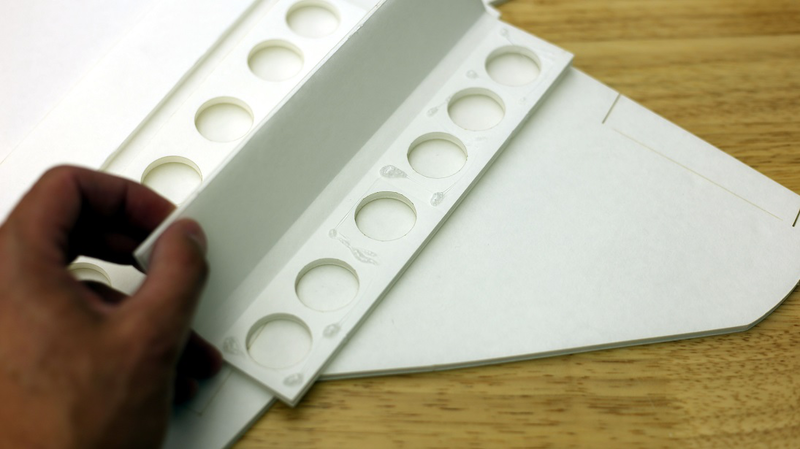 Using your pointer finger and thumb, pinch the middle section out as shown above. 9. 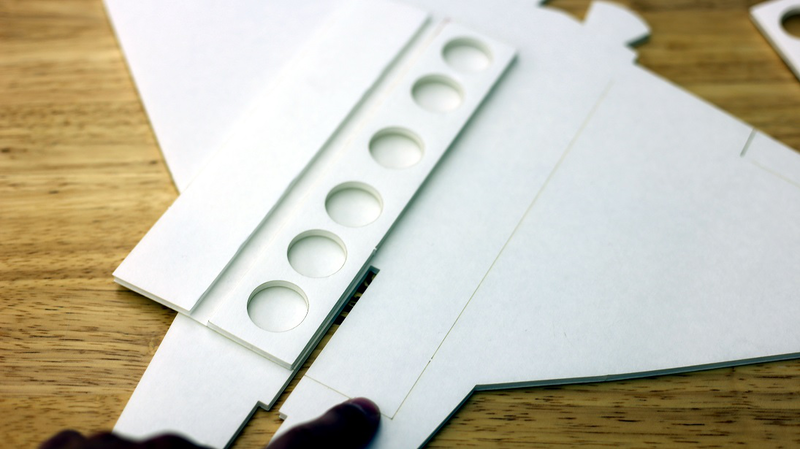 Using your main shuttle wing and the doors you just prepped, identify where you are going to place them as shown above and follow the pre-cut lines as your guide. 10. 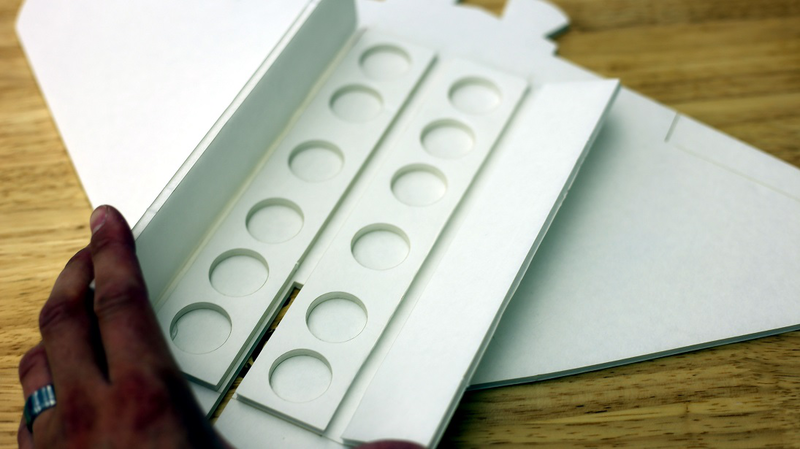 Flip the doors over, and place some glue on the side with the holes (pictured above). 11. Glue down both doors. The doors should be able to swing open and closed as shown in the image above. 12. 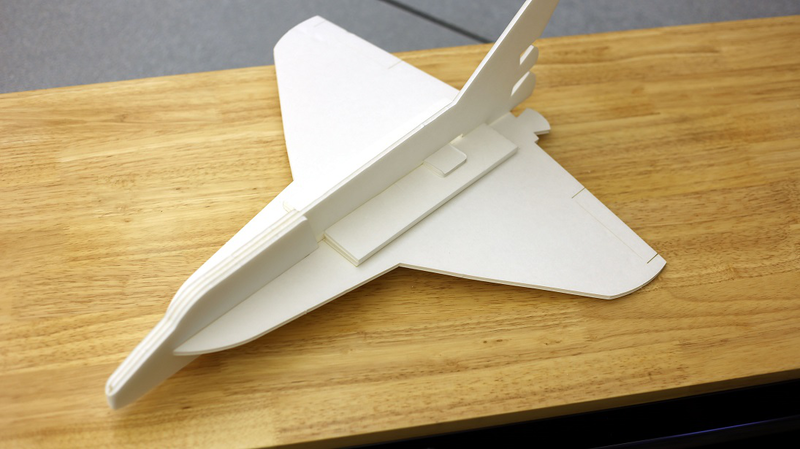 Slide your fuselage onto your main wing. 13. Make sure to slide fuselage all the way to the back so the engine cutouts are lined up. 14. 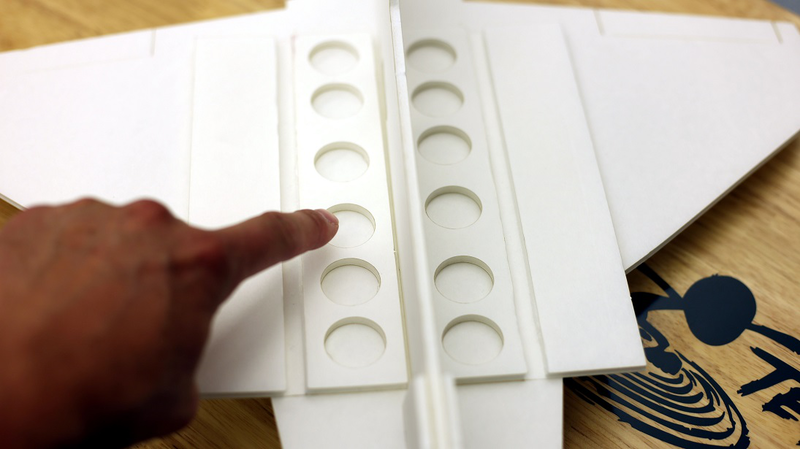 Place the washers in the slots to test your shuttle's center of gravity. 16. Using the last piece, slide into place and move forward to lock doors shut. 17. 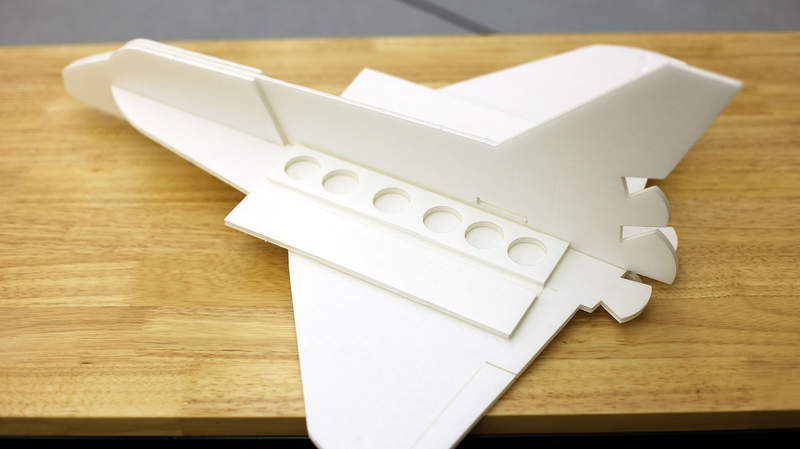 Notice that the wing has pre-cut control surfaces. 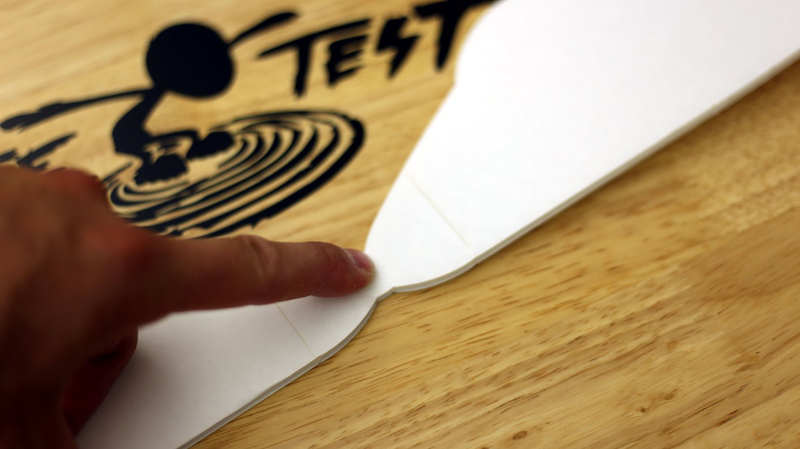 Students can bend these up and down to test the effects of flight. 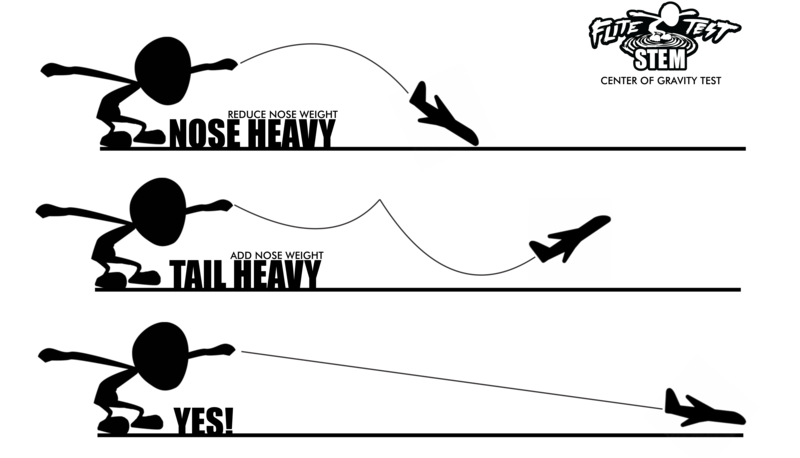 See the diagram in next step to see how control surfaces work. 18. Your shuttle is ready to fly! 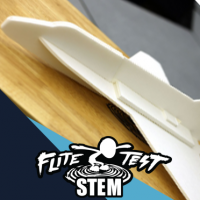 If you built the FT Shuttle Glider without the on-board compartment but with the weighted rubber band support, it will not need many adjustments to the weight at the front or back of the aircraft. 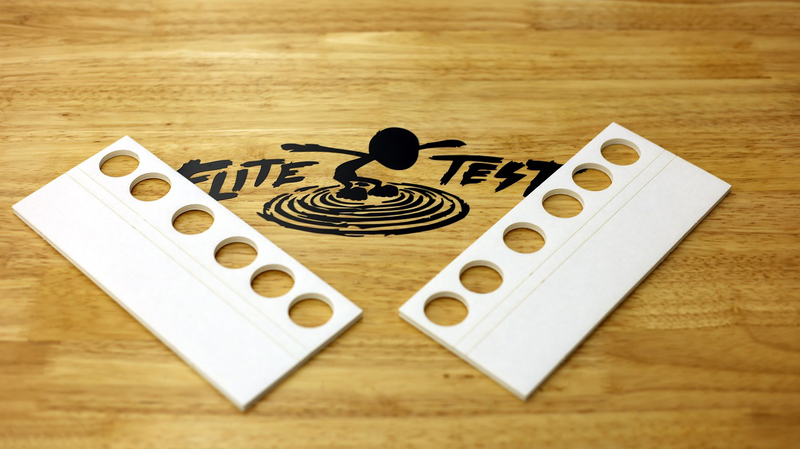 If you built the FT Shuttle Glider with the on-board compartment, it will not need the weighted rubber band support. 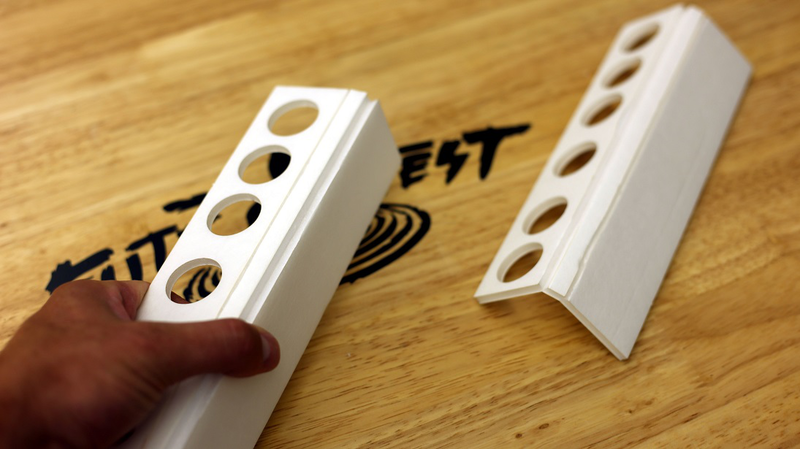 Instead, instruct students to place the coins, washers, etc in the different slots of the on-board compartment to adjust the center of gravity (how the plane balances while in flight). TEACHER PREPARATION: HOW DO CONTROL SURFACES WORK? There are three major sets of control surfaces. The control surfaces deflect the flow of air, which pushes the control surface the opposite direction. 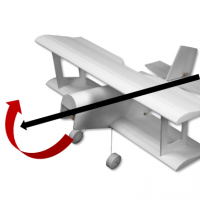 This changes the angle of the plane on that axis. NOTE: Further explanation of how control surfaces work can be seen in this video. The three major sets of control surfaces are: elevator, rudder and aileron, described in more detail below. 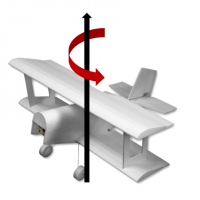 Ailerons - Control the roll, or bank, of the airplane. 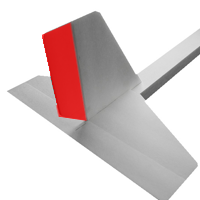 The ailerons are located on the trailing (back) edge of the wing. 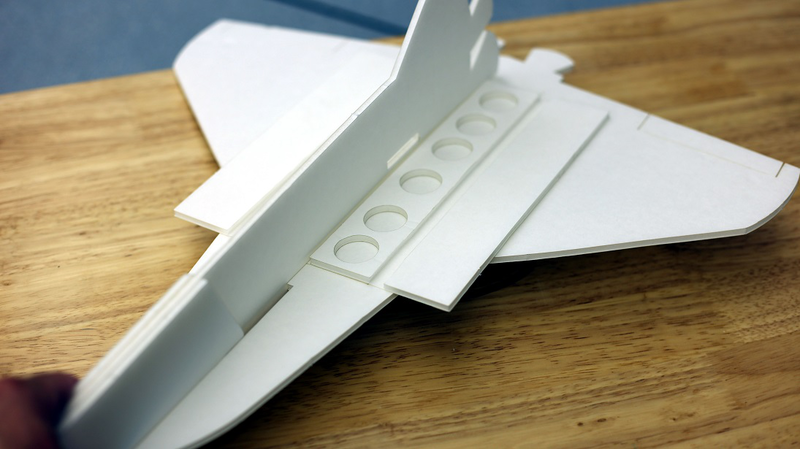 There are a number of ways you can deliver the content to your students after they have constructed their FT Shuttle Gliders. Below are some suggestions that you can use or modify based on your classroom environment and time constraints. Identify the three major control surfaces. 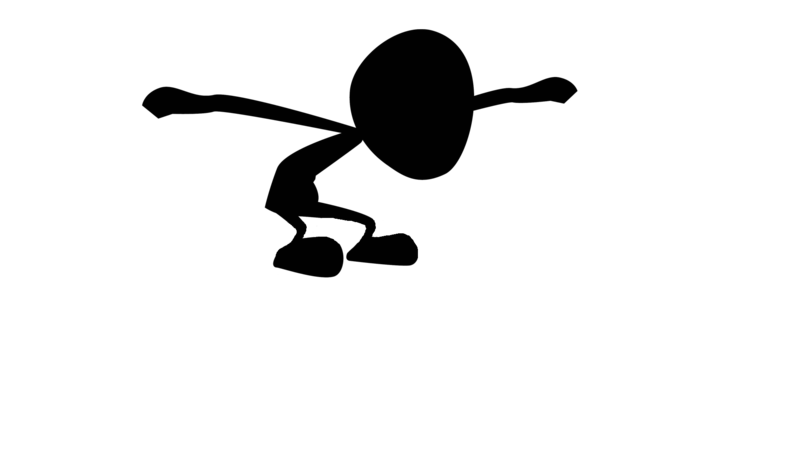 By breaking the designated lines for the marked control surface, go through the basic movements and the effects they have on the air flow as it passes them. 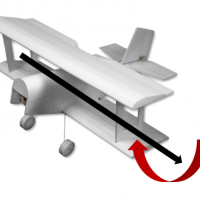 Right Aileron up, Left Aileron down: Plane will bank right! 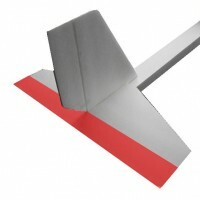 Right Aileron down, Left Aileron up: Plane will bank left! Rudder moved to the right, Ailerons kept level: Plane will yaw right! Rudder moved to the left, Ailerons kept level: Plane will yaw left! 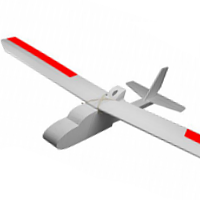 Combination of the three will perfect the flight characteristics of the aircraft. Time to put these control surfaces to the test. Have the students test the control surface movements in a safe area. If time allows, have them experiment with different control surface movements and share with the group. Ask if anybody got the Shuttle to barrel roll, flip, stall, etc and how they achieved that? Based on what they now know, prepare them to test their shuttle in the simulated problem mentioned above. After testing their aircraft and attempting to meet the assigned problem, have the students present in groups how to maneuver the aircraft to safely bring the astronauts down for landing. 2. 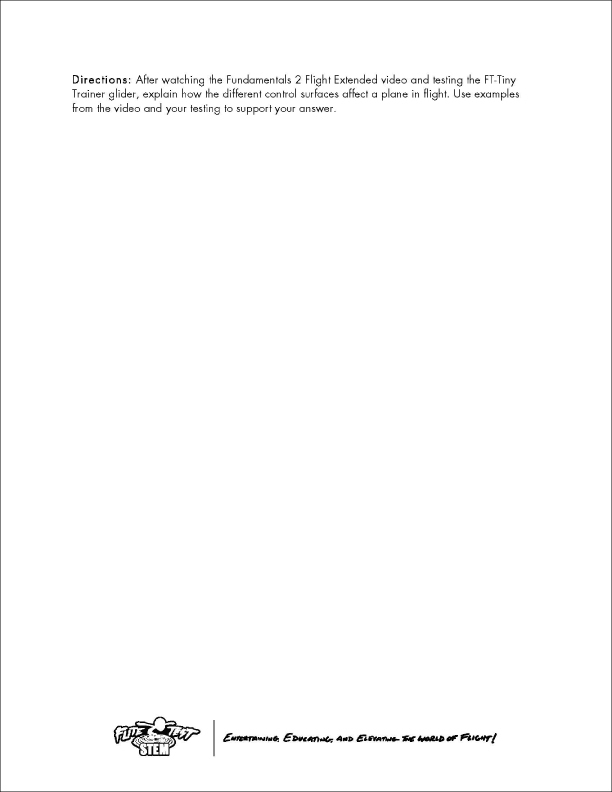 OPTION 2: Use the attached worksheet. The only difference with this option is the addition of the worksheet below during the testing stage. 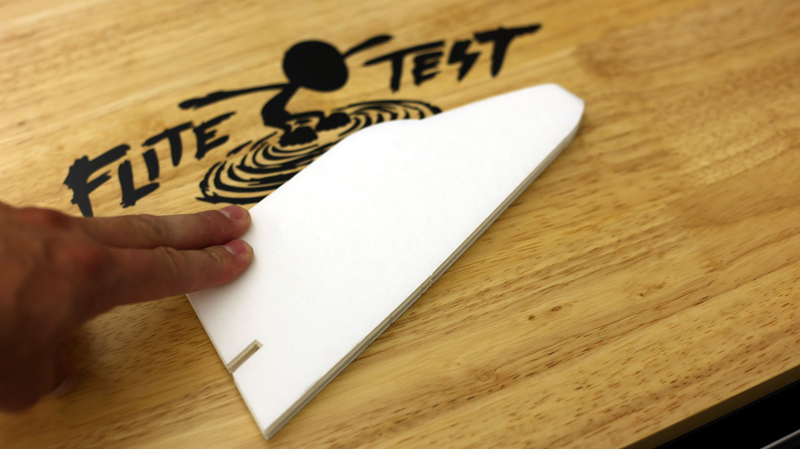 The students will follow and complete the "FT Testing the Control Surface" WS.